A special group exhibition celebrating the first Gallery Friends Series Release at Patron Art House. Patron Art House is pleased to present the Gallery Friends Series, as part of our mandate to educate a wider audience about Vancouver artists. This series is comprised of unique and editioned works of art by Vancouver artists. All works are within 5 x 7 inches, and are certified by a series card. 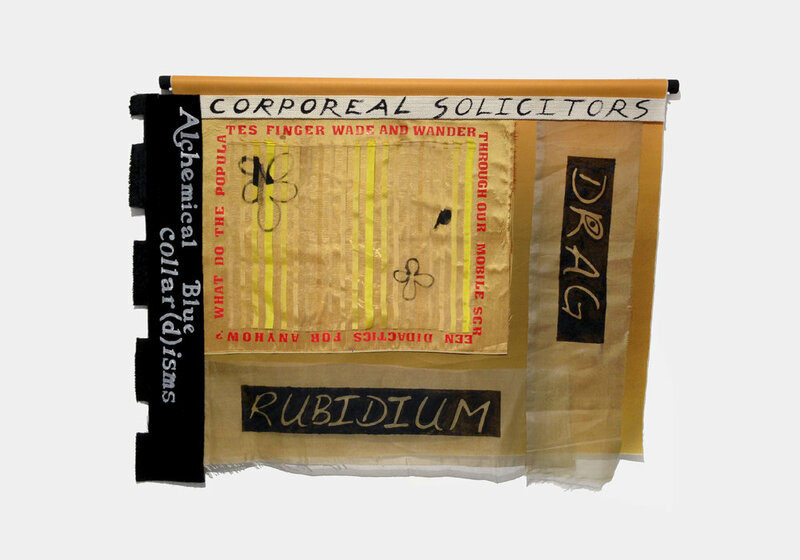 Mark DeLong, Armed and Fairly Reasonable, 2016, cotton thread on cardboard, W 15" x H 15"
Sharona Franklin, Rubidium Drag, 2017, velvet, silk, cotton, acrylic, wood, paper, W 29" x H 23"
Thomas Arden, Untitled, 2015, cyanotype on linen, 26" x 1.5" x 41"